– Johnny Gray talking to LRC in a no-holds-barred interview. 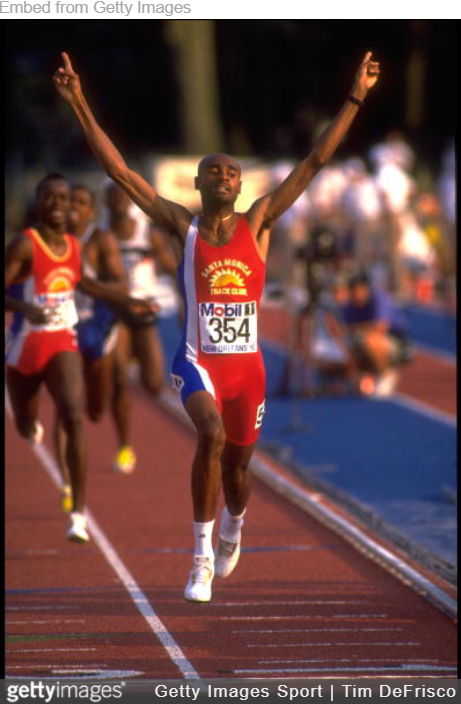 Gray picked up the sport as an 11th grader and ran 2:17 but for the last 32-years he’s been the holder of the American record in the 800 at 1:42.60 – the longest-standing track mark in the US. BYU or NAU? Who is #1? 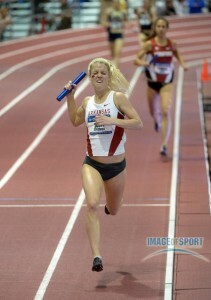 Why do people like Jordan Hasay so much? 8 Min Pace death march: Who has the edge......????!!!! A journalist is doing a write-up about me and included a part about my college running, what should I do? Ryan Hall And Lornah Kiplagat Among The Class Of 2017 NYRR Half Of Fame Inductees SI’s Tim Layden won the George Hirsch Journalism Award. Quick Quotes From The Ten 2017 IAAF Male Athlete of The Year Candidates Distance quotes include Mo Farah and Elijah Manangoi. Entries Open For IAAF Fan Photograph Of The Year Contest Win a free trip to the 2018 World Indoor Champs in Birmingham. California Governor Gives LA 2028 Financial Guarantees The bill allows the state to spend up to $270 million if the Games go over budget. The Telegraph: Pole Dancing Now Recognized By International Sports Body – Leaves Door Open To Olympic Inclusion The Global Association of International Sports Federation (GAISF) gave pole dancing, along with arm wrestling and dodgeball, 2 years to meet requirements (WADA compliant and increased membership) to become an official sport. *International Pole Sports Federation Founder Katie Coates: “Why I’m Glad Pole Dancing Is Finally Being Recognized As A Sport” Coates has lead the charge to try to get pole dancing to the Olympics. USA Today: USOC Expresses Interest In Bidding For Winter Olympics Denver, Salt Lake City and Reno are possible bidders. Salt Lake City Forms Exploratory Committee To Look Into Bid For 2026 Or 2030 Winter Olympics Salt Lake City hosted the Games back in 2002. Arkansas To Host A New “National Relay Champs” This April Sixteen “power programs” will compete in a 2-hour, televised relay-only meet with team scoring. Events tentatively include a 4 x 100, 4 x 200, 4 x 400, 4 x 800 and DMR. Oklahoma State Men Have Been Ranked #1 In The Midwest Region For 58 Straight Weeks They haven’t lost the Midwest Region since 2010 (they tied in 2012). MB: Katelyn Tuohy smashes historic VCP record by 30+ seconds! 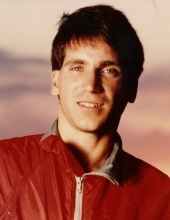 Tuohy, who ran a 4:24 1,500 in 8th grade and broke Mary Cain‘s NY state mile record as a freshman, ran 13:21.8. 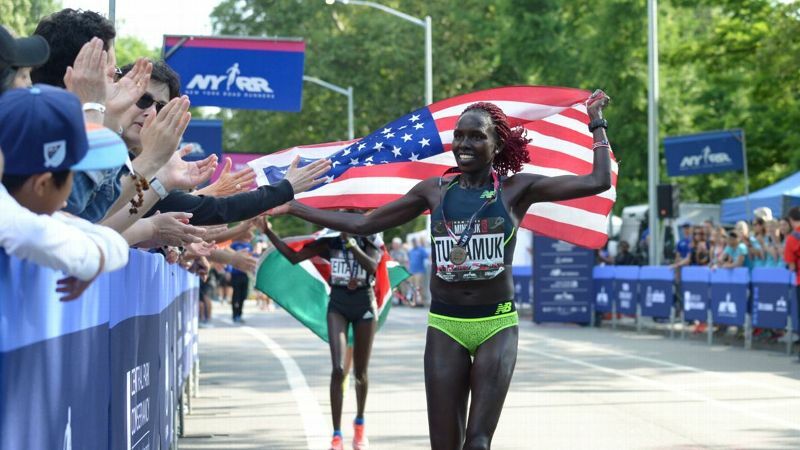 Good Read: ESPNW: The Inspiring Story Behind Aliphine Tuliamuk’s Rise To The Top Of Elite Running Tuliamuk was one of 32 siblings and ran her first races in loafers and sandals. Now she’s getting ready to try to win the NYC Marathon as a US citizen. Sunday: World Marathon Champ Rose Chelimo Faces 66:19 Woman Ruth Chepngetich At The Rock ‘N’ Roll Lisbon Half Marathon World 10,000 4th placer Senbere Teferi is also in the field while Eritrea’s Yohanes Ghebregergis (60:21) is the men’s favorite along with three other sub-61 men and former World XC champ Imane Merga. Tokyo Marathon champ Sarah Chepchirchir (2:19:47) leads the women’s marathon while the men’s has 2:07 men Edwin Koech and Jacob Cheshari. A Marine With Prosthetic Legs Is Running 31 Marathons In 31 Days To Raise Awareness For Wounded Veterans Rob Jones lost both his legs when he was wounded by a landmine while serving in Afghanistan. Formidable Foursome Of Euro AOY Contenders Were All Undefeated This Summer High jumper Mariya Lasitskene, pole vaulter Katerina Stefanidi, heptathlete Nafissatou Thiam and hammer thrower Anita Wlodarczyk make for a hard choice. October 22: Kenyan 2:26 Woman Angela Tanui Looking To Turn The Tables On Ethiopia At The Toronto Waterfront Marathon Ethiopian women have won seven of the last ten years, but Tanui is hoping for big improvements in what will be her second marathon. Russian SPer Got A Reduced 1-Year Doping Ban After The Russian Federation Took “Into Account The Athlete’s Explanation” … However, they failed to specify what that explanation was. IAAF Profile: Second Best Is Enough For Now For Polish Hammer Thrower Wojciech Nowicki Nowicki is consistently one of the best hammer throwers in the world, but is overshadowed considering he is Polish so his countryman is the top-ranked Pawel Fajdek. World Masters Discus Record Earns Carol Finsrud USATF Athlete Of The Week She threw 40.76m (133-9) to break the 60-64 world mark by five feet. 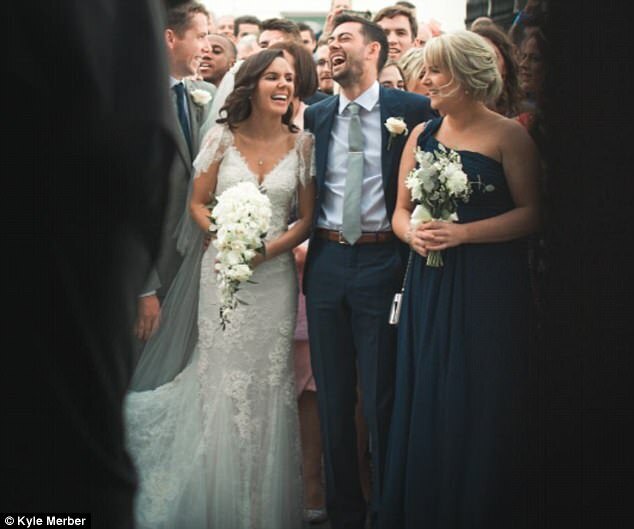 Kyle Merber’s Wedding Makes Headlines In The UK For His Funny Irish To English Slang Translator Merber and his Irish bride Patricia Barry made up a sheet to help their American and Irish guests bypass the language barrier. *MB: BAN IT! Down with bun huggers! Video Interview: 2016 NCAA Indoor Mile Champ Kaela Edwards Joins Emma Coburn Training Group She will train alongside Coburn and Aisha Praught. Updated Men’s National XC Rankings See NAU And BYU Maintain Their 1-2 Rank The story of the rankings, though, is Portland jumping 22 spots from a 25th ranking to #3. Women’s Cross-Country National Coaches Poll Has Oregon Move To #1 New Mexico moved up to 2nd and Colorado moved down from 1st to 3rd. 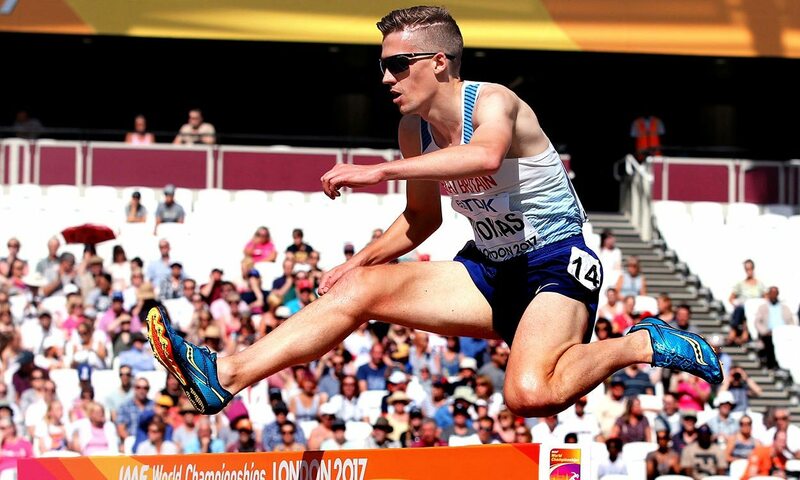 GB’s 8:33 Steeplechaser Ieuan Thomas Gives Some Steeple Tips For Beginners Accelerate into the barrier, have forward lean and get used to using both legs as your lead leg. BBC Video: How Much Easier Would Life Be With A Racewalker As An Errand Boy? Don’t most people run errands though? Brother And Sister Duo Win Great Birmingham Run Half Will and Chloe Richardson ran 66:38 and 81:40 to get the Ws. Amsterdam Delivers: Lawrence Cherono Runs 2:05:09 Course Record As 5 Guys Break 2:06, 8 Break 2:08 And 14 Break 2:10! Cherono’s close was impressive as Tadelech Bekele won the women’s race in 2:21:54. Zane Robertson was a DNF. 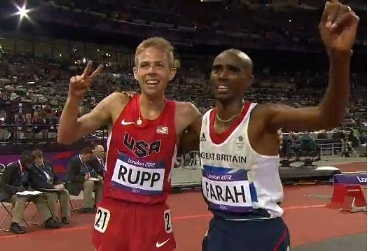 *MB: So if Galen Rupp had run Amsterdam, he would have been at best 3rd and maybe 5th? Lisbon: Eunice Chumba Upstages World Marathon Champ Rose Chelimo On A Hot Day At The Rock ‘N’ Roll Lisbon Half Chumba ran 68:48 while Chelimo was 3rd (69:48). Birhan Nebebew won the men’s race in 62:02 while Sarah Chepchirchir (2:27:57) and Ishhimael Bushendich Chemtan (2:10:57) took the marathon titles. NY Is In 3 Weeks Time To Raise The White Flag? Mary Keitany Says Her Training For NY Has “Gone Well” Her husband/coach is “optimistic” that she can run like she did in London (2:17:01). Four Years After Quitting, Asafa Powell Returns To The Stephen Francis-Coached MVP Track Club Powell left MVP when Francis gave an ultimatum for Powell to leave his long-time agent, Paul Doyle, whom Francis blamed for Powell’s positive stimulant test. From Miss Universe Malaysia Finalist To National Sprinter Malaysian model and actress Tanalaksiumy Mahenthiran Rayer is hoping to make the Commonwealth and Asian Games. RW: Devastating California Wildfires Wreak Havoc for Races, Runners, And Their Families Sara Hall‘s and Kim Conley‘s families were among those affected by the fires and had to evacuate. *MB: Bay Area Smoke: Train normally, dial back, wait it out? Um, You Think? European Athletics Council Proposes Honorary Membership Of Disgraced Former Russian Athletics Federation President Valentin Balakhnichev Be Revoked He has a life ban from the sport for blackmailing Liliya Shobukhova. How was this not automatic? The IAAF Replaces Suspended Athletics Kenya Official David Okeyo With African Athletics Confederation Vice Pres. Vivian Gungaram In other news, ADAK found runners Shieys Chepkosgei and Florence Chepsoi guilty of doping and upheld their 4-year bans. Russia’s High Jump World Champ Maria Lasitskene Plays Down Her Chances At Winning The IAAF Athlete Of The Year Award Lasitskene competed as a neutral athlete and was undefeated in 2017, but thinks the award is so subjective that she doesn’t expect to even make the top 3. Syria’s World High Jump Bronze Medalist Majd Eddin Ghazal Says The Greatest Challenge Of His Career Was Rio 2016 When He Tried To Compete While Battling Anemia In Rio he could barely run or walk, but managed to finish 7th place with a 2.29m clearance. Afterwards at the hospital, the doctors told him he should have been given the gold for even competing. 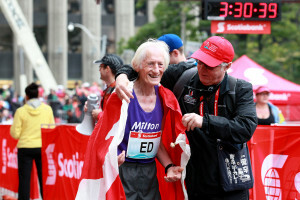 October 22: RRW: Scotiabank Toronto Waterfront Marathon Remembers Ed Whitlock Whitlock, a well-known masters running legend who passed 7 months ago, set a slew of WRs in Toronto, including being the oldest to go under 3 hours when he ran 2:54:49 at age 73. 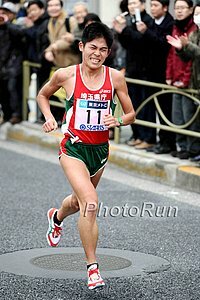 November 12: Filomena Cheyech Daniel (2:21:11) Leads Saitama International Marathon Elite Field On the men’s side, Yuki Kawauchi headlines in what will be his second marathon in a week. Spanish Olympic HJ Champ Ruth Beitia Announces Retirement At 38 Years Old Beitia retires after an impressive career where at 37 years old in Rio she became Spain’s only female Olympic champ ever. 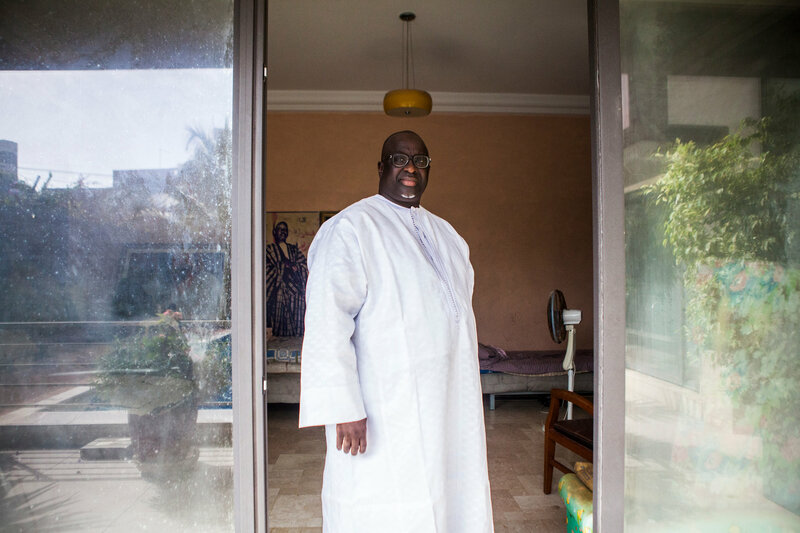 NY Times: Accused Of Corruption On Multiple Continents, And Comfortably Defiant In Senegal Papa Massata Diack has had hordes of corruption accusations made against him, but he’s still professing his innocence, claiming the accusations come from racism and jealousy. Meanwhile, he continues running his business from and living large in Senegal. Two More Russians Get Drug Bans Seven-time shot put national champ Maksim Sidorov got a 1-year ban and former Youth World Cup racewalk winner Alexei Bartsaikin got 4 years. A coach was also banned for “persuading” an athlete to dope. Russia Opens Its First Criminal Investigation Under New Anti-Doping Law An unnamed medical staff member of a Russian athlete could face one year in jail and fines up to $17,400 under the new law. Recent CAS Ruling Banning Russian TJer Strengthens Credibility Of McLaren Report Russians and others have criticized the report for lack of evidence, but here the evidence was used to push through a drug ban. InsideTheGames‘ Nick Butler: Is It A Good Thing That Only One Retest From The Vancouver 2010 Winter Games Came Back Positive A Good Thing? Butler analyzes the possible good and bad reasons that so few athletes tested positive at the 2010 Games. MB: France’s Former Kenyan And EPO User Abraham Kiprotich Runs 2:06:54 To Win Gyeongju, Korea Marathon This technically makes him the fastest in 2017 not representing Kenya or Ethiopia. MB: Official 2017 Wisco / Pre-Nats Discussion Thread- Who you got? Pre-Nats LRC 2017 Pre-Nats Analysis: Who Surprised And Bombed Today In Louisville? The #1 Colorado women were upset by #2 Oregon but don’t write them off. Individually, UNH’s Elinor Purrier upset Karissa Schweizer as well. In the men’s race, BYU’s Rory Linkletter got the win as the Cougars CRUSHED it. Who is better on the men’s side, #1 NAU or #2 BYU? LRC 2017 Wisco XC Men’s Recap: Justyn Knight Edges Grant Fisher As NAU Dominates, But Who Were The Biggest Winners And Losers? Friday’s 2017 Nuttycombe Wisconsin Invitational in Madison played out very much the same as the 2016 Nuttycombe Wisconsin Invitational as for the second year in a row, the No. 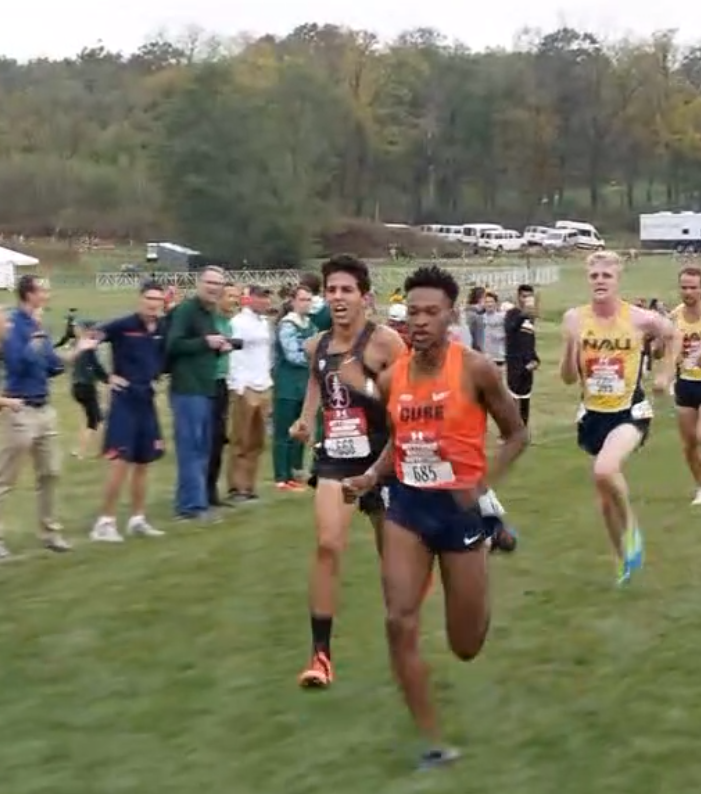 1 Northern Arizona men and Syracuse’s Justyn Knight emerged as the champions. We break it down for you and tell you which teams flopped and which teams surprised. LRC Wisconsin XC Women’s Recap: Ednah Kurgat Leads New Mexico To Victory (Updated with table) New Mexico claimed individual and team victories at the 2017 Nuttycombe Wisconsin Invitational in Madison on Friday. Penn State Women Win Penn State National Open With Four In The Top Ten The men’s team finished runner-up to Oklahoma State. LRC Who Comes Out On Top In The Marathon: 2007 Ryan Hall Or 2017 Galen Rupp?, Bad TV Coverage, Plus Another German Star This week in our weekly recap, we take a trip down memory lane and compare Ryan Hall‘s great run in New York in 2007 to Rupp’s run in Chicago, figure out how rare Rupp’s win was and see how far away from the WRs Rupp and Jordan Hasay are. *MB: Allright Letsrun – Who wins, Ryan Hall 2007 or Galen Rupp in 2017? Mondo Duplantis Is T&F News’ Boys High School Athlete Of The Year Becoming the first prep ever over 19 feet made him the unanimous vote for T&F News’ AOY. World 5,000 Champ Hellen Obiri Wins StarTimes’ Sports Personality Of The Month Award For August Obiri said the award came as a “surprise” to her. She probably wasn’t expecting to win an athlete of the month award for August in October. A Brief Review Of The Jumpers On The IAAF AOY Long List USA’s Sam Kendricks, Christian Taylor and Britney Reese are all up for the award. A Quick Look At The Throws And Multi IAAF AOY Candidates No Americans made the list this year. 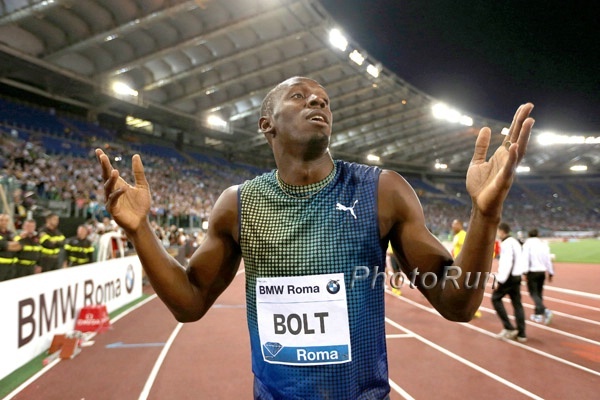 Even Bolt Can’t Take On Friday The 13th: Unveiling Of Usain Bolt Statute Rescheduled Due To Bad Weather The statue was supposed to be unveiled today, but it’s been postponed until December 3. Christophe Lemaitre Hoping For “Big Things” In 2018 After A “Frustrating” 2017 Season Lemaitre had a lot of injuries which kept him from making the World 200 final by .02. Sydney McLaughlin’s World Under-20 400H World Record Ratified By The IAAF McLaughlin ran 53.82 at the 2017 US Champs to break her own record (54.15) from the 2016 Olympic Trials.